Women artists are everywhere, but it’s through the important work of curators, writers, and international institutions, to name a few, that we actually get to learn about them and their work. 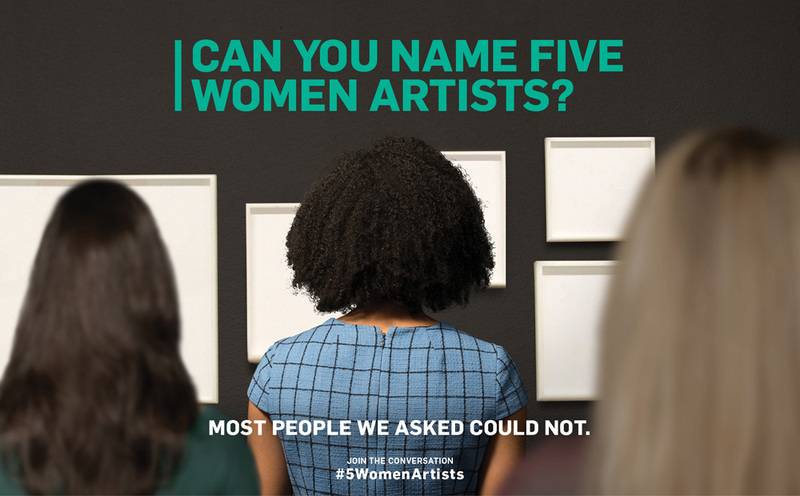 Since 2016, the National Museum of Women in the Arts (NMWA) have been asking the public through social media each March during Women’s History Month whether they can name #5WomenArtists. Our permanent collection contains the works of many phenomenal women artists and continues to acquire more works thanks to our curatorial team who actively seek to improve gender representation at the museum. We are proud to be one of more than 1,000 cultural institutions from seven continents and 47 countries participating this year. Check out our list below of women artists from our collection selected by members of our team. Alison Saar (b. 1956, Los Angeles) was raised in an unusually artistic environment. 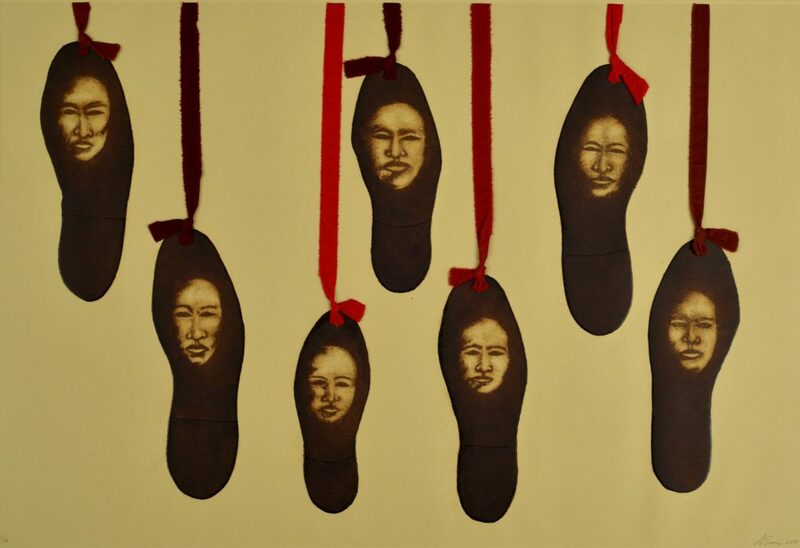 Her mother is the well-known artist Betye Saar—who she credits with exposing her to the metaphysical and spiritual traditions that underlie much of her work. Her father, Richard Saar, was a ceramicist and art conservator. Saar worked in her father’s conservation studio for eight years, encountering everything from Pre-Columbian and African art‍ to Egyptian mummies. It was through conservation work that she developed her appreciation for a broad range of materials and techniques and a life-long curiosity about other cultures. 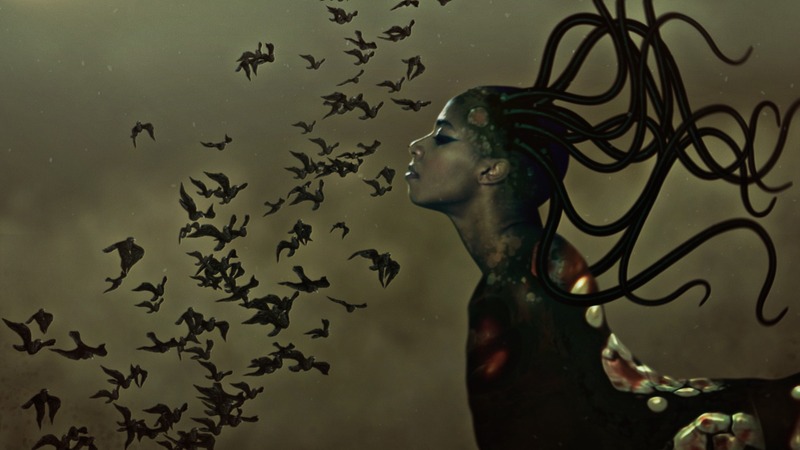 Saar combines all these influences to make work that addresses issues of race, gender, history, spirituality, and humanity. Her sculptures, installations, and prints are almost exclusively figurative, and quite often focus on the female form. 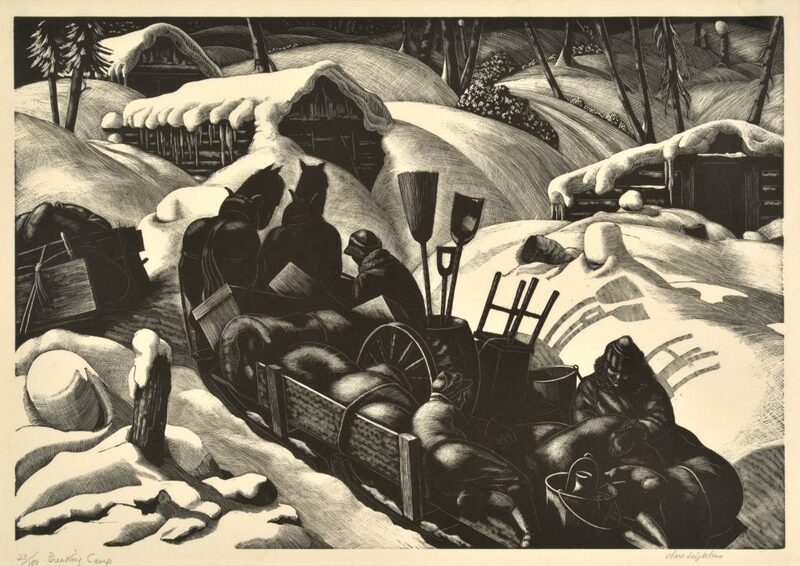 The wood engraver Clare Leighton created this snowy scene of Canadian lumberjacks packing up their camp at the end of logging season by carving into a block of hard boxwood with a pointed steel rod. From the deep black bodies of the horses to the curving shadows of the broom, shovel, and chair legs on the snow, Leighton varies the width and depth of her incised lines to render an incredible range of light to dark tones. Leighton was a master of the wood engraving technique, which was often used for book illustration in the nineteenth and early twentieth centuries. In addition to providing illustrations for fifty-one books by such authors as Emily Brontë, Thomas Hardy, and Henry David Thoreau, Leighton authored and illustrated fifteen of her own works. Drawn to rural scenes in her native England and in her adopted home of the United States, Leighton enjoyed commercial success on both sides of the Atlantic. She shared her passion for the medium of wood engraving by writing a manual, Wood-Engraving and Woodcuts (1932), and teaching art at Duke University in the 1940s. The Blanton is fortunate to have 752 of the 789 designs carved by this prolific artist. 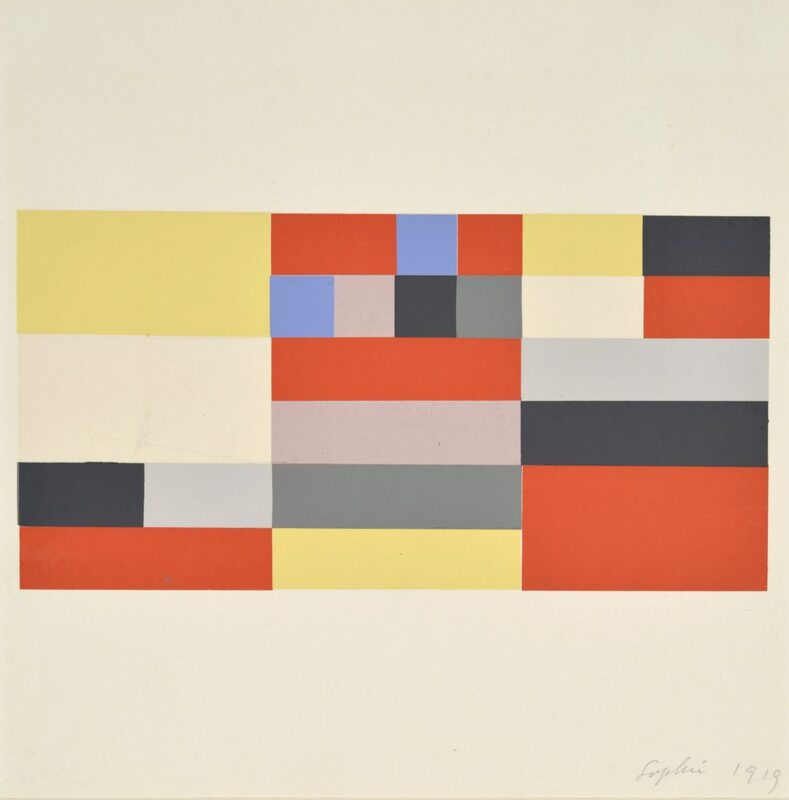 Sophie Taeuber-Arp is widely considered to be one of the earliest pioneers of geometric art. A multi-disciplinary artist working with paint, wood, textiles, and glass, she strove for compositional balance by carefully arranging shapes and colors on flat planes. Her early work shows restraint and sophistication that her older contemporaries took years to develop. Her advantage was a background in textiles, which allowed her to visualize and execute vertical-horizontal compositional structures, similar to the “warp and woof” structure in weaving. 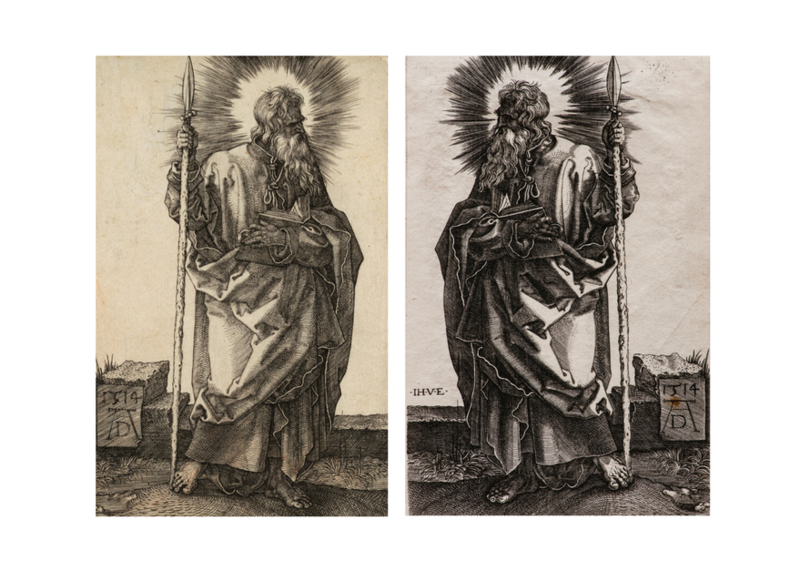 I learned about Argentinean Claudia del Río’s work while researching the Blanton’s collection of Latin American art for our exhibition Words/Matter (on view through May 26, 2019). In the 1990s, Claudia del Río sent us as a gift a piece of Mail Art, which consists of a wonderful envelope addressed to the museum, containing additional artworks, including A Edward D. Wood, Jr. [To Edward D. Wood, Jr.], which is now displayed in the show. 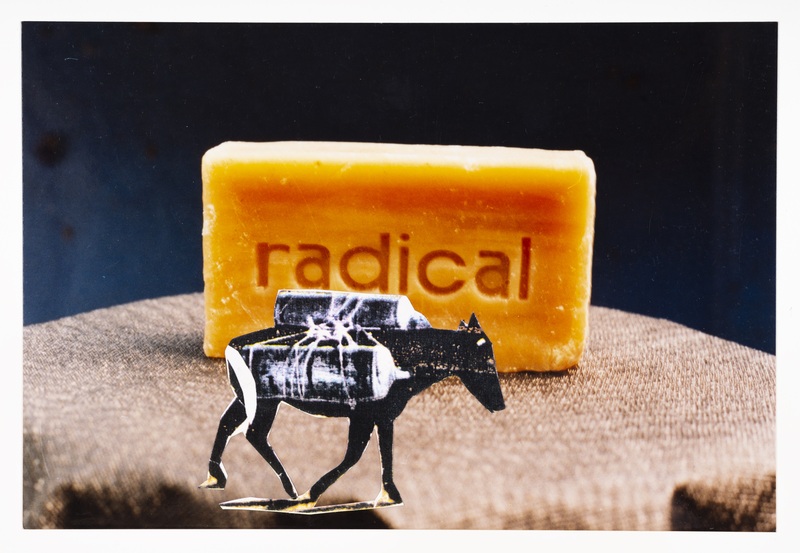 For this piece, del Río shot a series of photographs of soap bars and collaged on them figures taken from periodicals. I saw this piece as a complex reflection on women’s work, especially revealing of the ways in which domestic space can be ideologically coded. I asked del Río why she dedicated this work to such an unlikely American filmmaker. She responded, “In the 1990s, I saw the complete filmography of Ed Wood, and I was amazed. It could have been made in Argentina! We were trained to work with few resources so we made using ‘low technology’ a kind of a style.” In this piece, del Río embraced this approach to creativity by choosing ordinary subjects: the type of laundry soap bars used with washing boards, and figures cut out from the well-known magazines Mecánica Popular and Selecciones del Reader’s Digest. Woven into this work there is a poetic homage to the United States inventiveness and popular culture. “I greatly admired the American dream in my childhood and now I love the US,” affirmed the artist. 5 1/8 x 10 1/16in. Mary Corse’s untitled 1969 painting hangs alongside work by Jo Baer, Louise Nevelson, Eleanor Mikus, and Lee Lozano in our women-driven “Minimal Gestures” gallery. 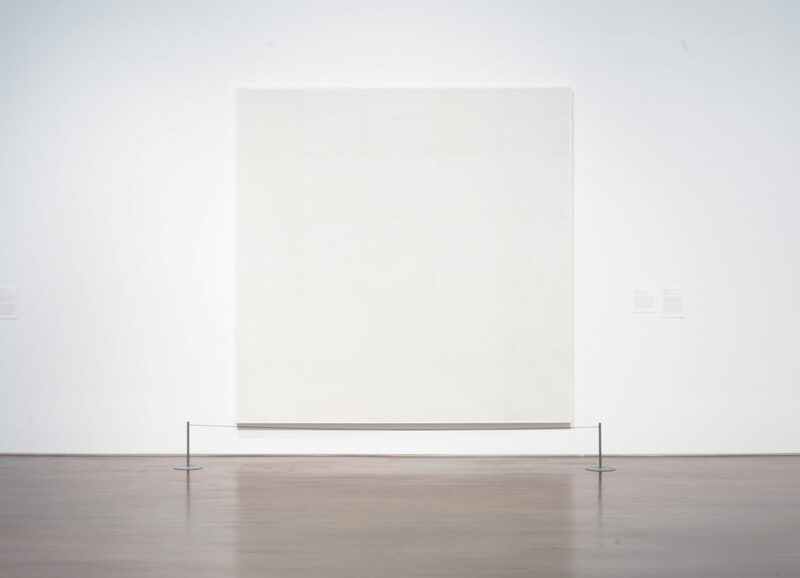 The monochromatic white painting is nine feet square and features a shimmering grid rendered in acrylic paint with glass microspheres, better known as the reflective material used in highway dividing lines. “I didn’t want to paint a picture of the experience of light—I wanted the painting to be the light experience itself,” Corse has said of this series, the White Light paintings, which she began in 1968. In-person activation is essential to these works: the paintings’ surfaces appear to change as the viewer moves around them, and they are notoriously difficult to photograph. Glass microspheres aren’t the only material with which Corse has experimented; she built her own kiln to fire large black ceramic slabs for her Black Earth series and studied quantum physics to utilize Tesla coils in a group of light boxes. One of the few women affiliated with the Light and Space Movement—a West Coast strain of Minimalism interested in light and perception—Corse finally received her first solo museum survey at the Whitney Museum of American Art and a long-term installation at Dia:Beacon in 2018.